Anyone who has spent time around a newborn knows that they spend most of their day sleeping. In fact, according to Nationwide Children’s, newborns spend 16 to 20 hours of each day asleep. Since they spend so much time asleep, many parents think there is little they need to do in order to promote safe sleep within their newborn. However, newborn healthy sleep habits are just as critical as they are for adults. 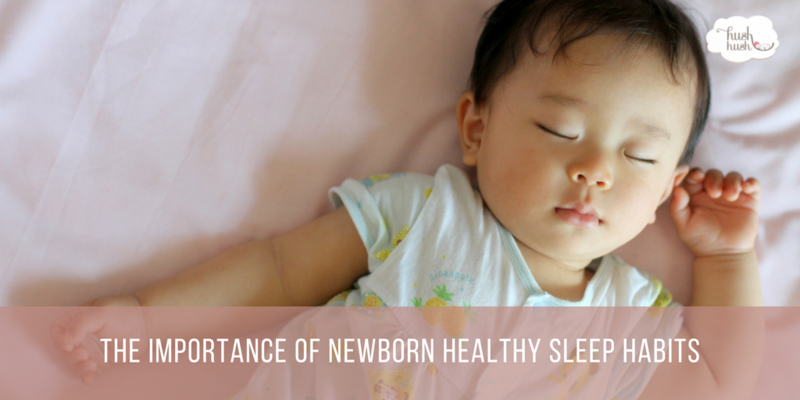 Read on to learn more about some of the necessary newborn healthy sleep habits. Despite what some people, particularly those in older generations, may tell you about how you used to sleep when you were a baby, there is no room for debate on this subject. Newborns should always be placed on their back to sleep because it is the absolute safest position for them to avoid Sudden Infant Death Syndrome (SIDS). Since it directly affects life and death, making sure your baby is placed on their back to sleep is a necessary newborn healthy sleep habits. If you would like your child to be able to put themselves to sleep at nap times and when it is time to go to bed for the night, it is an excellent idea to put them down when they are sleepy but not asleep. Since your child is not completely asleep when they go down, this one of our newborn healthy sleep habits helps to promote self-soothing. Self-soothing is a crucial skill for babies because it extends beyond just nap times but anytime something upsets them, they can lean on these skills. One of the common mistakes that we see new parents make that causes considerable frustration is not making sure baby has everything they need before they go to bed. Often we find that newborns that may appear exceptionally fussy at nap or bedtime are actually hungry, overstimulated, or may need to be changed. You can avoid these common pitfalls making sure your baby is fed and changed before they go to sleep. Additionally, it is advisable to limit exposure to strong stimulations such as bright colors, loud music, or bright lights when you are preparing your child for sleep. Our Newborn Care Specialists, Night Nannies and Baby Nurses are well equiped to teach you and your little one healthy sleep habits and set a strong sleep foundation. Please contact us today to learn more!